Below you will find some of the questions asked by our client’s families in the past. For further information, please call us directly at (520) 881-4477. A: Whether the care you need is required for a limited/specific injury or illness, a special needs child, comfort for end of life care or a combination of care issues, Soreo can provide the services throughout all of the stages of your need. Our full continuum of care includes In Home Support Services, Hospice & Palliative Care and Bereavement Services. What this means to you is that there is no need to contract with multiple providers to serve your individual needs. Q: Are your prospective employees and caregivers screened? A: Yes. Not only are prospective employees screened, but we complete detailed background reviews, including fingerprint checks. If the prospective employee does not meet our rigorous standards, they are not hired. Q: Does Soreo provide service to non-English speaking homes? A: Yes. A significant number of our clients are primarily Spanish-speaking, as well as Russian-speaking. We have interpreters for several other languages and we seek out individual caregivers who not only speak a non-English language, but are sensitive to various cultural differences. Q: Where does Soreo provide its services? A: We currently have three service offices in Tucson, Casa Grande, and Phoenix. We provide In Home Support Services in Tucson, Casa Grande, Phoenix and all the surrounding communities. Our In Home Services, Hospice & Palliative Care Services and Bereavement Services are available in the greater Tucson area as well as Oro Valley, Oracle, San Manuel, Mammoth, Sahuarita, Green Valley, Amado and Benson. Q: How much do Soreo services cost? A: Most Soreo services must be authorized to us from another agency. To find out if you are eligible for services through the Arizona Health Care Cost Containment System (AHCCCS) contact the following office in your county: Pima County: 520-205-8600 ext. 2 Pinal & Gila Counties: 800-831-4213 Maricopa County: 800-582-8686 If you are interested in Soreo Select’s private pay services, please call us to discuss pricing. We have tried to keep the fee schedule as simple as possible. If a unique situation arises, we will discuss the fees with you on an individual basis. Q: When are services available? A: All Soreo services are available 24 hours per day, seven days per week, 365 days per year. Q: What is the difference between Hospice and Palliative Care? A: Hospice is a comprehensive, interdisciplinary program designed to provide hope, care and comfort to individuals with a life-limiting illness wherever they call home. Palliative Care is a medical specialty that focuses on the whole person by meeting the physical, emotional and spiritual needs of people with serious illness, a life- threatening injury or other medical conditions. Q: When is the right time to consider Hospice or Palliative Care? A: At any time after the diagnosis of a life-limiting illness, it is appropriate to consider all options. The Hospice and Palliative team will coordinate with your personal physician to focus on lessening the burdens and suffering associated with serious illness and determine a course of action that’s agreeable to you and your physician. Q: What is a Care Plan? A: A care plan is the customized plan for an individual’s care. It includes individual needs, personal preferences, scheduling choices and all other information needed to provide safe, reliable in-home services. A care plan may also include coordination with other community resources if those resources are desired and requested by the person receiving services. Soreo is initiating a food drive for families in need. This will be an on-going effort so please stop by! First Fridays of the Month – Free to the Public! 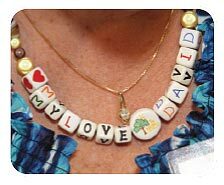 Remember your loved one and honor your journey through grief as you create a keepsake Memory Bead necklace. Memory Beads is a creative process to honor your grief journey as you cope with the death of a loved one, created in loving memory of Dr. David Jacoby. Call in advance to sign up. Space is limited for each session with 8-10 people per session. Please call Molly to reserve your space. (520) 322-9155.